"Great dentist and excellent dental office. Highly recommend." "Dr. Yampolsky is a talented clinician and caring, warm and humble human being." "Recommend to all people who care about their smile and dental health overall." "Svetlana Yampolsky is the most capable and experienced dentist I have ever visited." "I am so happy I found Dr. Yampolsky and her highly professional staff." "My experience at Dr. Yampolsky office has been great." "I don't have to go to this office often because her quality is the best!" "Everyone at Dr. Yampolsky's office are very thorough, genuine, and caring." "I wouldn't trust anyone else with my teeth!" "Everyone in her office is friendly, efficient, attentive, and most of all professional." Dr. Svetlana Yampolsky moved to New York City at age 14, and soon after, enrolled in the Cooper Union School of Art’s prestigious high school program. She then pursued a Bachelor’s of Science in Psychology Sciences from New York University. She went on to obtain her DDS degree from the New York University College of Dentistry, and she completed her residency in General Dentistry at Maimonides Hospital in 2001. Since then, she’s remained committed to continuing her education and remaining aware of the latest advancements in oral health and dentistry. Dr. Yampolsky has pursued a post-graduate education at the NYU College of Dentistry in the following areas: "Contemporary Aesthetic Dentistry: Creating the Winning Smile” in 2002, "Occlusion and Temporomandibular Disorders" in 2003, and "Implantology: Surgical and Prosthetic Treatment" in 2006. She’s also served on the faculty at NYU College of Dentistry’s department of Aesthetic Dentistry, providing students with hands-on skills in cosmetic dentistry. 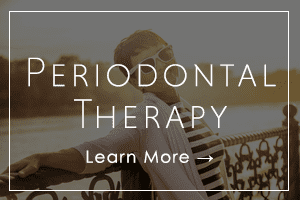 Dr. Yampolsky is a highly professional, detail-oriented dentist, offering a unique combination of advanced training, extensive experience, and an artistic eye. Her background as a painter gives her a unique approach to every mouth she works on. Due to her knowledge of color, shape, form, and facial proportion, Dr. Yampolsky is devoted to making your smile a masterpiece — one that’s both glamorous and natural-looking. This is demonstrated in the book, The Master Ceramist, a collaboration with renowned ceramist and smile maker of the stars, Jason J. Kim. Her work has also been featured in Women’s Health, 4Health, on 87.7 FM and RTVi, and on other major media outlets. She is a member of the American Dental Association, American Academy of Cosmetic Dentistry, Academy of Oral Systemic Health, and the Academy of General Dentistry. Dr. Yampolsky lives in NYC with her son. When she’s not perfecting smiles, she likes to paint and spend time with friends and family. 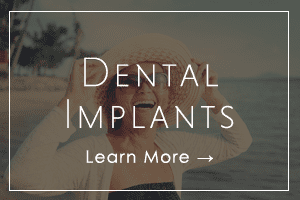 Dr. Yampolsky individual attention and superior service start from the minute you walk into the office until you are totally satisfied with the way your teeth look and feel. Meet her today! 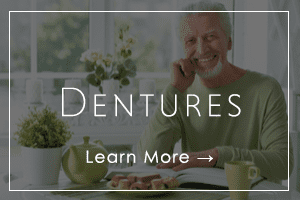 For years, oral health problems were thought to exist on their own, affecting the teeth, gums and, in severe cases, jawbones, but never encroaching on the rest of the body. Rheumatoid arthritis is an autoimmune disorder that causes widespread inflammation throughout the body’s joints. So what does it have to do with your oral health? We use the highest quality, all-porcelain crowns. Your veneers are manufactured by in high-end, private laboratories. "She makes going to the dentist a pleasure and as painless as possible considering what it is." "I'm a huge fan of Dr. Yampolsky and her staff! I've been coming here for a few years now, and everyone in the office has always been polite, smart and friendly." "Everyone in the office is friendly and helpful. I still can't believe what a great deal for dental care I have found!" "It is evident to me that she is continuously reinvesting in her practice. I believe that she and her staff are among the best in the city." "The only place where your smile "feels alive". The best dental office to choose. The best doctor and staff too." "Dr. Yampolsky and the staff at her office are wonderful. Coming here for dental care is a very good experience." "First dentist I felt 100% comfortable with and completely trust. The staff is full of knowledgeable, kind, cooperative people." "Dr. Yampolsky team is outstanding. They are always aware of your needs and care for you and your health more then you would expect from a dental practice." "Everyone at Dr. Yampolsky's office are very thorough, genuine and caring. It has taken me a long time to find the right dentist and I'm very happy to have found them!" "I have been a patient of Dr. Yampolsky for many years and have been very satisfied with her care. Her staff is extremely competent as well."